Over four decades, the reputation of the Porsche 911 Turbo as a technology showcase combining the virtues of a circuit race car with those of an everyday road car has consistently reached new heights. Since it first went on sale in 1974, the Porsche 911 Turbo has become revered by car enthusiasts and is renowned as a benchmark high performance sports coupé. In 1986, Porsche became the world’s first car manufacturer to establish a specialist department at the factory dedicated to tailoring cars to bespoke requirements. Porsche Exclusive provides customers with a unique vehicle that meets all of their special wishes – in terms of both styling and performance. But besides offering custom manufacturing, Porsche Exclusive also builds extraordinary limited series cars. With the unveiling of the Porsche 911 Turbo S Exclusive GB Edition, the enduring appeal of the rear-engined, turbocharged 911 and the tradition at Porsche of building cars for the individual are combined in a coupé that is both the pinnacle of the 911 range and also the height of individuality. As the name suggests the new 911 Turbo S Exclusive GB Edition is unique to the UK market and will be offered in a limited edition of 40, priced from £150,237. Available to order now, each car will be delivered together with a personal photo book documenting the production process, a bespoke Exclusive GB Edition indoor car cover and unique design sketches. An all-wheel drive chassis with active rear axle steering, adaptive aerodynamics, full-LED headlights and a 560 hp flat six-cylinder twin-turbocharged engine emphatically underline the sporting character of the 911 Turbo S, on which the Exclusive GB Edition is based. The Porsche Dynamic Chassis Control (PDCC) active anti-roll system further increases the handling capability. Aided by the Sport Chrono Package Plus incorporating dynamic engine mounts, and Porsche Ceramic Composite Brakes (PCCB), the 911 Turbo S can sprint from 0 to 62 mph in just 3.1 seconds and on to a top speed of 197 mph. The benchmark lap time around the Nürburgring-Nordschleife is 7 min 27 secs. To this, the 911 Turbo S Exclusive GB Edition adds unique features carefully chosen to build on the compelling dynamic attributes and iconic silhouette of the standard coupé. Taking their cue from subtle styling motifs of the original 911 Turbo ‘930’ from 1974, the limited edition stands out clearly as the ultimate – and most Exclusive – ‘Type 991’ 911. In profile, the 911 Turbo S Exclusive GB Edition shows a clear link to the first 911 Turbo – the black rear upper spoiler, Sport Classic wheels in black, black finished exterior door handles, and the black ‘Porsche’ script along the sills pay homage to its illustrious forebear. Inside, the black leather upholstery features Guards Red contrasting stitching and unique highlights include an embossed Union flag on the centre storage compartment lid. At Porsche, a guiding principle has always been to allow each customer to create a highly personal car, with the opportunity to choose from a wide range of styling, powertrain and chassis options. The ultimate expression of this philosophy is Porsche Exclusive, via which customers can create an entirely bespoke vehicle. From the earliest days of the company, Porsche customers have been able to ask the factory to modify their cars for road or racing purposes. In 1986, the Porsche Exclusive manufacturing department was established. The first Porsche Exclusive limited production car was the 911 Turbo ‘Flachbau’ (flat nose) whose rakish front styling with pop-up headlamps was inspired by the 935 race car. A total of 984 examples were built between 1982 and 1989. In 1992/93, a lightweight version of the ‘Type 964’ 911 Turbo S was built in co-operation with Porsche Motorsport. Featuring a 381 hp engine and a 180 kg weight saving versus the standard car, 86 examples of this ‘Supercar Champion’ edition were sold. A very limited run of just 15 examples of the 911 Carrera 2 Speedster were built in the coveted wide-body ‘Turbo-look’ in 1993, plus 76 editions of the 911 Turbo 3.6-litre with ‘flat nose’ styling. Two years later, 14 units of a ‘Type 993’ 911 Turbo Cabriolet were created. These editions are eclipsed in rarity by the two ‘Type 993’ 911 Speedsters that were specially built. In 1997/98, the Exclusive department produced 345 examples of the 911 Turbo S, an edition of the Turbo with 42 hp more than the standard production model. Porsche Exclusive revived the tradition of limited series production at the IAA in Frankfurt in 2009, with the unveiling of the 911 Sport Classic. 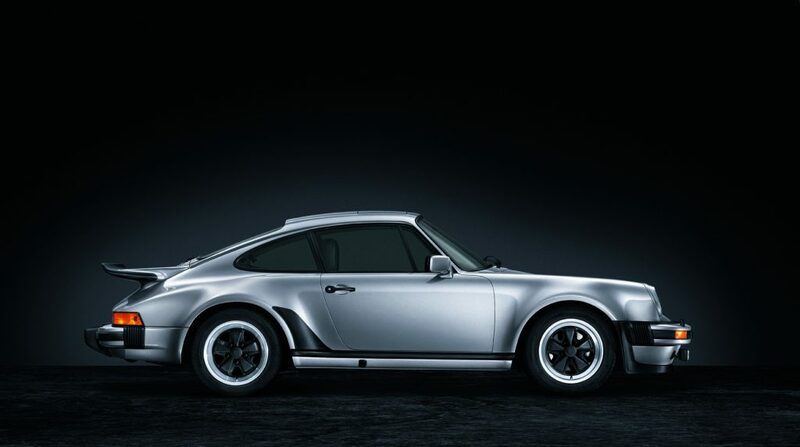 With just 250 built, the Sport Classic featured a powerful 408 hp flat-six engine, a unique exterior featuring ‘duck tail’ rear spoiler inspired by the Carrera 2.7 RS and a bespoke interior – and it sold out quickly. To celebrate the 25th anniversary of the Exclusive department, the 911 Speedster was based on the Type 997 Carrera S, and limited to just 356 units. This number referred to the 356 Speedster which inspired the design, featuring a lower windscreen and purpose-built lightweight folding roof. The performance partners in the powertrain are an advanced engine and Porsche Traction Management (PTM) all-wheel drive system. The turbocharged 3.8-litre flat-six engine with direct petrol injection produces 560 hp (412 kW). Porsche continues to be the only car maker to offer twin turbochargers with variable turbine geometry on a petrol engine. Power is transferred to the drivetrain via a seven-speed dual-clutch transmission (PDK), which enables an auto start/stop function with engine shut-off that now activates earlier (when coasting to a halt) as well as the proven coasting function. Together with a new thermal management system for the turbo engine and the PDK transmission, fuel efficiency technologies have reduced NEDC fuel consumption by up to 16 per cent to 29.1 mpg. For an even faster and more precise power distribution to the two axles, Porsche has developed a new all-wheel drive system (PTM) with an electronically controlled and activated multi-plate clutch for the latest ‘Type 991’ generation of 911 Turbo S. The system is equipped with a new water cooling function, so that it can direct even more drive torque to the front wheels if necessary. Simultaneously, the optimised interplay of the engine, transmission and all-wheel drive systems delivers even better sprint capabilities. The introduction of rear axle steering to all 911 Turbo models improves both track driving and everyday performance of the two new sports cars immensely. Instead of conventional control arms, the system consists of two electro-mechanical actuators on the left and right of the rear axle. The steering angle of the rear wheels can be varied by up to 2.8 degrees, depending on vehicle speed. At speeds up to 31 mph (50 km/h), when the front wheels are turned the system steers the rear wheels in the opposite direction. This actually corresponds to a virtual shortening of the wheelbase by 250 mm, which gives the 911 Turbo unrivalled cornering agility. The system lets the car turn faster into the bend and offers more dynamic steering responses. Furthermore, this noticeably simplifies low speed manoeuvring and parking. At speeds above 50 mph (80 km/h), the system steers the rear wheels parallel to the turned front wheels. This is equivalent to a virtual lengthening of the wheelbase by a significant 500 mm and gives the sports car tremendous stability, especially at high speeds. At the same time, the steering input by the driver leads to significantly faster build-up of lateral force at the rear axle, which initiates the change in direction more spontaneous and harmoniously. Porsche has developed an active aerodynamic system on the new 911 Turbo models. It consists of a sturdy, retractable three-stage front spoiler — whose segments can be pneumatically extended — and a deployable rear wing with three adjustable positions. This makes it possible to tune the aerodynamics of the 911 Turbo to fulfil driver wishes for either optimal efficiency (speed position) or ultimate dynamic performance. In the performance position, all segments of the front spoiler are fully extended, and they generate considerable downforce on the front axle. Similarly, the rear wing is extended to its maximum height with the greatest angle of attack. This also generates more downforce on the rear axle. The extent to which this system improves dynamic performance is demonstrated by the fact that it can reduce lap times around the Nürburgring-Nordschleife by up to two seconds.